First Meal: Yes, I am lucky! Gary asked me this morning, “what would you like to have for breakfast, I’ll make you anything?” I asked for Yellow Potatoes. I didn’t give any more details. Gary filled in the blanks. 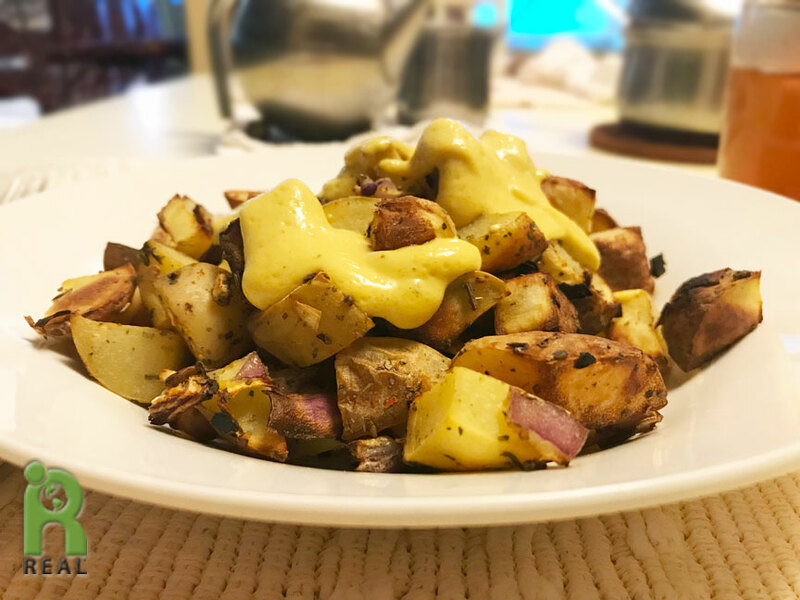 He made Home Fries with a cheesy sauce made from organic Silken Tofu, organic Miso and Nutritional Yeast. Second Meal: We are heading out to the theater tonight, the first of a few shows we’ll be seeing as I begin to celebrate my birthday 12 days early. 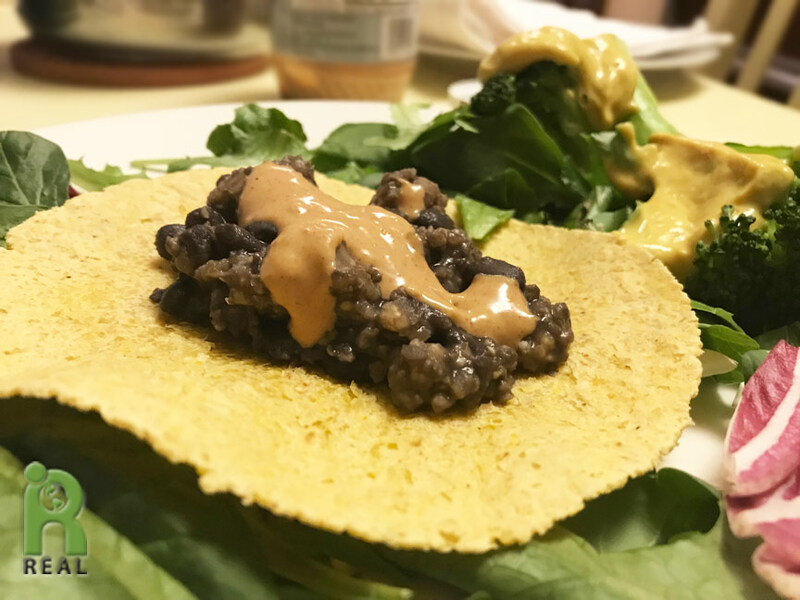 I put together a quick late lunch, reheating the cook organic Black Beans and organic Millet together, warming up some organic Corn Tortillas and serving it up on a bed of organic Spring Mix greens. I also steamed a big head of organic Broccoli which I knew would go well with the cheesy sauce Gary made earlier today. There was also some leftover Spicy Peanut Sauce I had made. Third Meal: We came home after seeing King Lear starring Glenda Jackson. She gave a powerful performance. Unfortunately everything else about the show was “meh”. This New York Times review says it all. But it was worth it to see Glenda Jackson at work. It was unforgettable. We came home hungry. 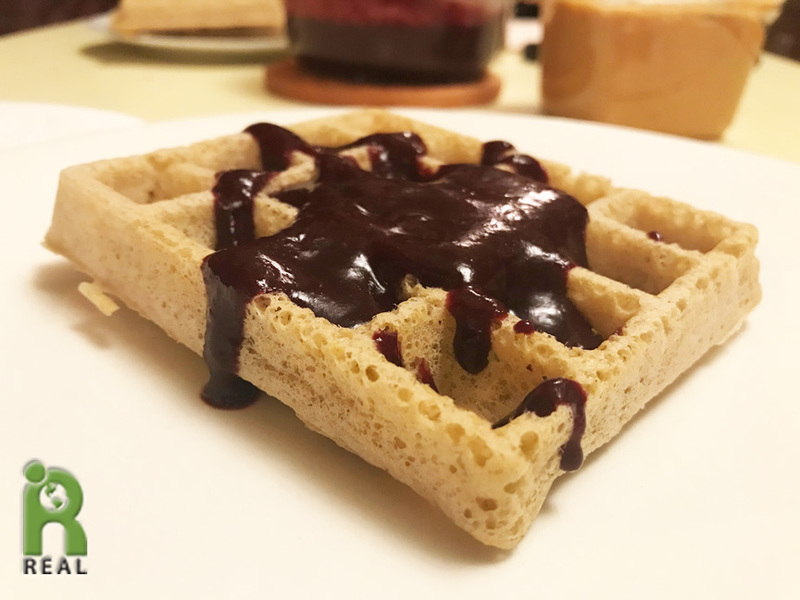 I made Steel Cut Oats and Millet Waffles and Gary made the Blueberry/Strawberry Coulis to go on top.